Today is the last day to try your luck on winning Feathered Quill's monthly book contest. We've got two wonderful children's books for November. Enter the contest here. Tomorrow, we'll have a brand new contest - stay tuned as the December book is a great business book, perfect for author's working on growing a business. Sigh...it seems that to many in the publishing/book world, "self-publishing" is still a dirty word. Recently, Harlequin, home to so many romance novels, announced plans to introduce a new imprint, Harlequin Horizons. This new imprint was designed to give self-publishers a chance to publish and get their books out to the general public. But - gasp - Romance Writers of America, along with other writers' groups, didn't like that idea. 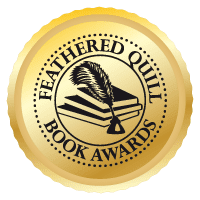 They basically told Harlequin that if they went ahead with using the Harlequin brand name with the self-publishing imprint, Harlequin books would no longer be eligible for entry into any of their award competitions. Harlequin bowed to the pressure and renamed the imprint DellArte Press, thus removing any implied connection between the two. Calabasas, CA, November 23, 2009 - The "real" Alice's* copy of Through the Looking Glass, and What Alice Found There ($100,000-$150,000) and Beatrix Potter's own copy of The Tale of Peter Rabbit, specially bound with a personal inscription ($80,000-$120,000) will highlight Profiles in History's December 16, 2009 auction of the Pat McInally Collection of Children's Literature. This unique auction of 101 lots will also include a First Edition, first state of the text copy of The Wonderful Wizard of Oz ($40,000-$60,000), a First Edition of Goldfinger, inscribed by Ian Fleming to William Plomer, the book's dedicatee ($60,000-$80,000) and a First Edition, First Issue Presentation copy of Through the Looking-Glass, and What Alice Found There, accompanied by something extra-two fine original pencil drawings by of Alice and Humpty Dumpty by illustrator John Tenniel ($40,000-$60,000). If there is a fan of classic children's literature on your holiday shopping list, you will not find a better gift. Other volumes to be offered include Limited Edition copies of Winnie the Pooh, The House at Pooh Corner and Now We Are Six, all inscribed by author A.A. Milne and illustrator Ernest H. Shepard ($20,000-$50,000 EACH), a First Edition, presentation copy of The Time Machine: An Invention, inscribed by author H.G. Wells, ($20,000-$30,000), a fine First Edition (in dust jacket) copy of Stuart Little, inscribed by author E.B. White ($10,000-$15,000), a First Edition of J.R.R. Tolkien's, The Fellowship of the Ring, ($10,000-$12,000), a First American Edition of Peter and Wendy, inscribed by J.M. Barrie ($6,000-$8,000), a copy of The Lion, The Witch and the Wardrobe, with a fantastic tipped-in autograph letter about Narnia by C. S. Lewis ($8,000-$12,000) a First Edition copy of The Story of Little Black Sambo ($8,000-$12,000) and a First Edition of Mother Goose in Prose, L. Frank Baum's first published book for children and the first book appearance of Dorothy of Oz ($8,000-$12,000). In addition to aforementioned Goldfinger, James Bond aficianados will be competing for inscribed, First Edition copies of For Your Eyes Only ($20,000-$30,000), Thunderball ($15,000-$18,000) and On Her Majesty's Secret Service ($8,000-$12,000) and fans of Harry Potter will find a set of Deluxe Editions copies of the first four Harry Potter books, all inscribed by J. K. Rowling ($6,000-$8,000) as well as other rare editions from the Potter series. Besides the books themselves, collectors will find exquisite, original artwork from the books, including an original John Tenniel drawing of the Gryphon from Lewis Carroll's 1865 Alice's Adventures in Wonderland ($60,000-$80,000) and Beatrix Potter's original preparatory drawing of Robin for The Tale of Peter Rabbit ($6,000-$8,000). Photo credit is Profiles in History. Additional art is available upon request. For more information about Profiles in History and to download a complete catalog of items available for this and past auctions, please visit HYPERLINK "http://www.profilesinhistory.com/" \o "http://www.profilesinhistory.com/"www.profilesinhistory.com. 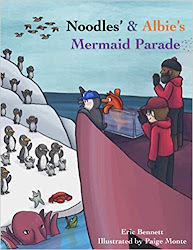 Pat McInally has been collecting children's and young adult literature for over twenty years. He has gone to extraordinary lengths to acquire only the finest copies available, and is determined to only have the most important titles by each author, only in census condition, title by title. Pat himself is as unique as his collection of literature. A former punter and wide receiver for the National Football League's Cincinnati Bengals from 1976 to 1985, Pat is the first Harvard graduate ever to play in a Pro bowl and a Super Bowl. He is also the only NFL player to achieve a perfect score on the Wonderlic Personnel Test. In 1986, Pat conceived the Starting Lineup series of action figures, which became a top seller for Kenner. McInally currently sits on the board of Wonderlic, Inc. as well as the National Football League's Youth Football Fund and also finds time to coach high school football. Founded in 1985 by Joseph Maddalena, Profiles in History is the nation's leading dealer in guaranteed-authentic original historical autographs, letters, documents, vintage signed photographs and manuscripts. Profiles in History has held some of the most prestigious and successful auctions of Hollywood memorabilia. Their auctions include costumes, props and set pieces from both vintage and contemporary film, television, and rock 'n roll. Profiles in History's location in Calabasas Hills, CA- virtually a stone's throw away from every major Hollywood studio - ensures a constant flow of fantastic and rare collectibles. With an extensive network of dealers, collectors, and institutions, they are proud to play an important role in the preservation of motion picture history. Prior Profiles in History Hollywood auctions highlights include the "Cowardly Lion" costume from The Wizard of Oz ($805,000); a full-scale model T-800 Endoskeleton from Terminator 2: Judgment Day ($488,750); a King Kong six-sheet movie poster ($345,000); the Command Chair from the "U.S.S. Enterprise" ($304,750); the original "Robot" from Lost in Space ($264,500); Luke Skywalker's lightsaber ($240,000), the Black Beauty car from The Green Hornet ($192,000); George Reeves' Superman costume from The Adventures of Superman ($126,500); the H.R. Giger designed Alien creature suit from Alien ($126,500); a full-scale T-Rex head from Jurassic Park ($126,500), the Leaping Alien Warrior figure from Aliens ($126,500), Christopher Reeve's 'Superman' costume from Superman: The Movie ($115,000), C-3PO's helmet ($120,000), The Wizard of Oz 'Winkie' Guard Costume ($115,000); a "Ming the Merciless" cape from Flash Gordon ($115,000) and the Hydraulic screen-used Velociraptor from The Lost World: Jurassic Park II. ($115,000). The most popular theory was that negotiations with Canadian telecommunications companies for wireless service were the obstacle, but even now that the Kindle is in the country, Amazon referred only to its American telecom partner. “Our international Kindle uses AT&T’s 3G global network,” said Marine. “And just like in the U.S., there’s no service fees, there’s no contracts, there’s no monthly fees, you simply buy your Kindle and then choose which books you want to buy and they download wirelessly in 60 seconds, so it is part of that simplicity and magic that has made Kindle successful in the U.S. and we think that same model will work well in Canada.” Canadians can buy the Kindle from the Amazon site for $259 US ($274 Can) and will pay a $31 import fee. Marine says delivery takes one to three days. One key difference for Canadian customers, however, is that they won’t be able to use their Kindles to browse the Web yet, although they will be able to access Wikipedia. But Amazon says it does intend to enable its experimental browser in every country. In the meanwhile, Canadians will be able to download more than 90 newspapers and magazines with single purchases or with a subscription. The Kindle’s wireless capabilities will give it a competitive advantage over the Sony e-reader, which is already established in Canada. Sony has wireless version of its e-reader but it is not on sale in Canada yet. Asked if Amazon was able to provide wireless service all across the country, Marine referred to a coverage map on Amazon’s site. “I think Canadians customers will be very happy with our 3G coverage,” he said. There are large parts of the country that are not included in the coverage areas, but most of the southern part of the country where the majority of the population lives is. People in other parts of the country won’t have a wireless connection but could still download books to their computers and then transfer it to the Kindle. Marine said Canadians would have access to 300,000 titles. “Customers should expect that to grow significantly over time just like we’ve worked on growing selection in the U.S.,” he said. Most Canadian publishers have been working on converting their books into digital formats in preparation for the Canadian e-book market to catch up with the momentum it has in the U.S. Many have already started selling e-books on Indigo Books & Music’s e-bookstore, Shortcovers. Now that the Kindle has crossed the border, there is a lot of interest in making books available through that channel too. Smaller indigenous publishing houses are moving in the same direction. 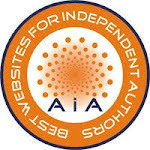 The Association of Canadian Publishers has been helping its members access some government funding to help pay for digitizing. Diana Barry, director of digital services, says that several ACP publishers already have agreements with Amazon, and others are working through their U.S. distributors. “It is something that we are working with our members as well to try to get more of them included,” she said. Reprinted with permission from "The Lion’s Share of Profits: The Benefits of Self-Publishing"
This is a great book for anybody interested in learning about self-publishing as well as those who are familiar with self-publishing (there are many great tips in this book). Read and enjoy. chose the name Five Star Publicationsand added a lighthearted figure as part of our logo—one that lends itself well to various reproduction sizes or colors. logos that look interesting to you. You don’t want exact copies, but showing logos you like will give the artist an idea of what you’re looking for. When designing a logo, your first consideration should be the effect it will have on the people who see it. It doesn’t need to contain all pertinent information, but it should be unique enough to be recognizable at a glance. A great logo will go a long way toward creating your company’s image and prestige, so give it careful thought. You also might want to consider a slogan to go along with your logo. We use “Your Story Begins Here,” and when you see our logo, you’ll also see our slogan. It’s double branding. FQ: The biker/open road analogies worked very well in your book. How did you first connect your love of biking to your love of business? The real connection and underlying reason for writing the book came shortly after beating cancer in 2004. That trial was more of a focus on the future than it was a wakeup call. That’s when I decided the time had come to combine my two passions, biking and business. I’ve always used the principals of biking in my business because running a company is very similar to that of taking a long road trip on a bike. We pick a destination, plan it out and use our skills when hit with the unknown. In both, a laser focus on fundamentals is crucial to successfully getting where you’re going. So from that standpoint, it was natural to write the book. FQ: Your book works for all sorts of entrepreneurs, not just those who bike. What would you say to non-bikers to encourage them to pick up your book and dive in? Don’t let the handlebars scare you! I wrote this book specifically for entrepreneurs. The biker perspective helps illustrate my points. The goal for any entrepreneur is to overcome adversity in order to build a great company AND a life. The underlying theme of the book is that adversity in either isn’t a question of “if,” but “when.” And the key to success is how you pick yourself up and excel. It’s also written in real time. By that, I mean I’m still actively growing my company as are the entrepreneurs whose stories are sprinkled throughout. FQ: I found the chapter on effectively addressing the "in-between" growth time great. So many business books neglect this ho-hum (but very important) time in a business' growth. What are some key elements entrepreneurs need to address during this time? You’ve nailed one of the things that sets my book apart from almost all those other business books. The “in-between” is who we are and where we grow. The other books solely focus on the finish line. Heck, anyone can tell you where they are today and most can tell you where it is they want to be. But only true winners can also describe, in detail, the in-between of getting from here to there. So my focus, both in the book and my daily work life, is to help entrepreneurs break down their journey into what bikers refer to as “legs of the trip”. In other words, if you have a five year plan, break it down into one year increments. If it’s a one year plan, break it down into three month increments and so forth. The in-between is where EVERYTHING happens so you better have a good handle on it as you go forward. FQ: Your additional rules at the end of the book are quite interesting. My favorite is "If two people agree all of the time, one of them is useless." It's so true but also quite funny. Which rule is your favorite? And which gets the most reaction from your clients? My favorite rule is: “You never know what you’ve got until you watch it.” A mentor taught me that as a lesson on how people and things react over time and circumstance. Your employee will act one way when times are good and totally different when the pressure is on. In order to set that person up for success you must know their range and set your expectations of them accordingly. FQ: PDP and SWOT - would you briefly explain these terms and why they are so important? Because at the end of the day your success is all about the people you have working for and with you. Therefore it’s imperative that you constantly inventory the talent within your organization. PDP is short for Professional Development Planning and that’s where you find out where the employee sees himself in the future in terms of position and growth. You then overlay their goals and vision for personal success with your perception of them and you do this with the SWOT. SWOT is where you list the Strengths, Weaknesses, Opportunities and Threats you see with this individual. I go into more detail in the book, but here again; it’s about calibrating expectations, both the employee’s and your own. For example, if the employee’s goal is to run the department and your view of him is that of a supervisor then there’s a disconnect that needs to be discussed. FQ: You mention entrepreneurs who succeed despite the fact that they never had a business plan. However, you discuss the downside to this course of action. Would you give our readers today a little teaser on what the downside is? Lewis Carroll wrote that “if you don’t know where you’re going...any road will take you there.” The downside to not planning is that if you never stop to think about where it is you really want to go in life and align your business accordingly, you’ll rarely if ever get there and end up living a miserable business life. I’ve seen too many entrepreneurs who’ve had great success in business end up with terrible personal lives. It’s an old cliché, but true that “Life is a journey, not a destination.” So it’s all about knowing what direction is best for you and then creating the type of 'in-between’ that works and makes you happy. After all, if you’re not happy on the trip over, you’ll probably not be happy once you arrive. FQ: In your consulting business, do you run into entreprenuers who are resistant to your suggestions? How do you convince them that in order to grow/succeed, they need to make changes? As someone brought into the organization to help effect change I run into resistance all the time. People are wary of ‘change’ and all have their own ideas and agendas. This is why I get everyone focused on the ultimate goal – the “work to be done.” Once everyone agrees upfront what the goals are and helps to identify the work to be done, it simple becomes a matter of results. We then discuss the work in the open so all involved can see how their actions have affected the outcome positively or negatively. Everyone wants to do a good job so it’s imperative that you clearly identify what’s expected of them...what the work is, their role and the level to which they must perform. Then it’s a matter of them making a fundamental business decision at the start of each day. They must decide to trade their time for your dollars (salary) and perform to the level needed. If not, then it’s time to move along and you both need to know that. FQ: One of your real business scenarios deals with a company where you admit that you, and the other consultants, only had one side of the story (Crash and Burn) which resulted in "Glenn" being fired. First, kudos on admitting how things can go wrong. Second, how do you make sure that you get both sides of a company's story now? Finally, I have to ask...do you know what happened to Glenn? In order to effectively navigate a company, I must have both sides of the story. And I get this by meeting regularly with everyone on the management team both individually and as a group. In these meetings we focus on the work to be done and how it’s going. Our conversations are usually confidential in nature unless we both agree it’s a big enough topic to bring to the table. So I always hear the unvarnished truth. Then it’s my job as Navigator to take this information and filter it to the rest of the organization so we can move forward. As for Glenn, no one likes to fail, but in business, things run their course and his time with the organization had simply done that. He’s a very talented man and has landed in a situation more conducive to his talents and direction. What initially looked to be a tragic event turned out to be a win-win situation for both sides. 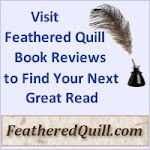 To learn more about The Biker’s Guide to Business, please read the review at: Feathered Quill Book Reviews. Please visit Linda at Five Star Publications for more information on her books and marketing ideas. A few days back Google permanently suspended many Adwords accounts stating that the landing pages were of poor quality and did not comply with the Landing page and Quality Site Guidelines of Google. Since Google is being really strict on the quality of landing pages where users are being directed to, it is very important to keep a high landing page score if you are using Google Adwords for your online campaigns. The landing page score is determined by Google looking at the content and layout of your landing pages. Google wants to show relevant ads with relevant landing pages to their users and your potential customers. So in this post we will look on the tips which you can use to get an ideal landing page for your campaign which would help you in getting high conversion rates and also improve your Google Adwords Quality Score. Keep Your Landing Page Relevant: - You need to ensure that your landing pages contain similar terms and content as in your Adword ad. Keep the title and headline of your landing page similar to your ad. You can also use "semantic extractor" in Google Adwords tools to test your landing pages and find the keywords which Google thinks are relevant for that page. Use similar keywords up and high in bold to make your landing pages relevant. Provide Unique Content: - Google doesn't like pages with duplicate content. If you are promoting a specific product then don’t copy the exact content from the supplier/manufacturer's website. Instead, create unique relevant content describing the product and how it would solve your visitor's needs. It is very easy for Google to catch content problems and Google Adwords never shows multiple ads having identical landing pages and content at the same time. Positive User Experience: - Your landing page should provide useful information to the end user. It should not contain only ads and sponsored links to other websites. You need to maintain a balance between informational aspects and commercial aspects of your landing page. If you want users to register for something then give them information about what they will get after registering. If your landing page contains sponsored links then you need to distinguish your sponsored links from the rest of the content. Simple Call to Action Process: - If your landing page wants a user to take a desired action like buying a product then you should make it simple and easy to follow. According to Google, your landing page should provide a short, simple and easy path for a user to buy products or get an offer mentioned in your ad. Transparency: - Your Landing page should share information about your business and TOS. If you need personal information from your customers then your landing page should disclose how this personal information would be used. Loading Time: - Google always checks the loading time of your landing pages with the average loading time of pages in your server’s geographic location. If you keyword is graded “This page loads slowly,' then your landing page quality score would be negatively affected. Avoid use of flash, iframes, pop ups and other obtrusive elements to reduce the loading time of your page. Tom Baron is a freelance web designer and likes to write on web design, technology, landing page design and testing, SEO and affiliate marketing. To learn more, please visit Tom on his website: Landing Page Optimization. What are you doing to market your book? You might want to research “Catalogs” online and pitch your book to different folks who publish catalogs. You may be able to find a copy of “Catalog of Catalogs” at your local library, though it might be outdated. Don’t limit your pitches to catalogs that offer books. Get creative. Think outside the book. For example, a garden catalog might accept a book like www.HealingStonesandGardens.com; a catalog for kids might feature books for kids; a catalog featuring coffee products might consider a book like www.AttitudeGirl.com; a catalog that offers pet products might consider distributing www.TrueStoriesAboutSavingAnimals.com and www.AlfiesBarkMitzvah.com; a Western catalog might offer www.AFeatherintheRain.com or www.LukeandJennyBooks.com; and a catalog that features food products might consider adding www.PotluckQueen.com to their list of items. Get the picture? Don’ t wait for sales to come to you. Find new distributors – make a home for your book in the least likely place. What are you waiting for? Start pitching and share your success stories with us. CatalogLink.com is the premier catalog directory on the Internet. We started in 1997 with only a few dozen catalogs, but we have grown to become Earth's Biggest Catalog Directory™. Our catalogs are always being updated, and new catalogs are constantly being added. Whether you're looking to search, browse or request catalogs for free, CatalogLink.com is the catalog directory for you. Search, find and request over 10,000 catalogs all at CatalogLink.com. Please be sure to visit Linda at Five Star Publications.